The WA90G9DEPSG is a fully-automatic top load washing machine from Samsung that offers various features such as double storm pulsator, diamond drum, magic filter, air turbo drying system and much more. 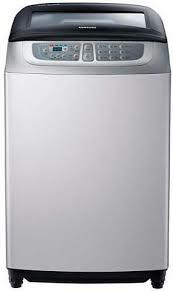 The Lowest price of Samsung Fully-Automatic Top Load Washing Machine WA90G9DEPSG in Pakistan is Rs. 33,999, and estimated average price is Rs. 33,999. The prices are collected from the best online stores in Pakistan like Utopia.pk - updated Apr 2019.